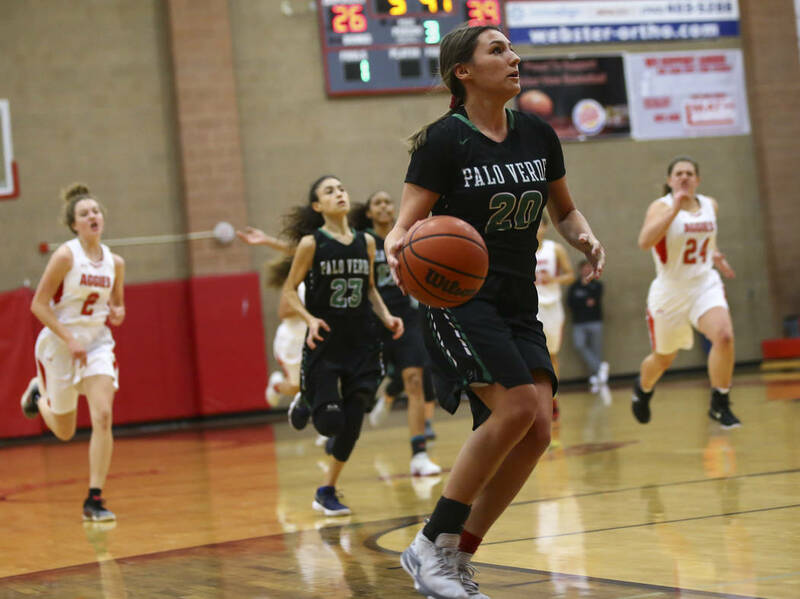 Palo Verde closed the first half with a 13-4 run and rolled to a 59-41 road victory over rival Arbor View on Wednesday night. 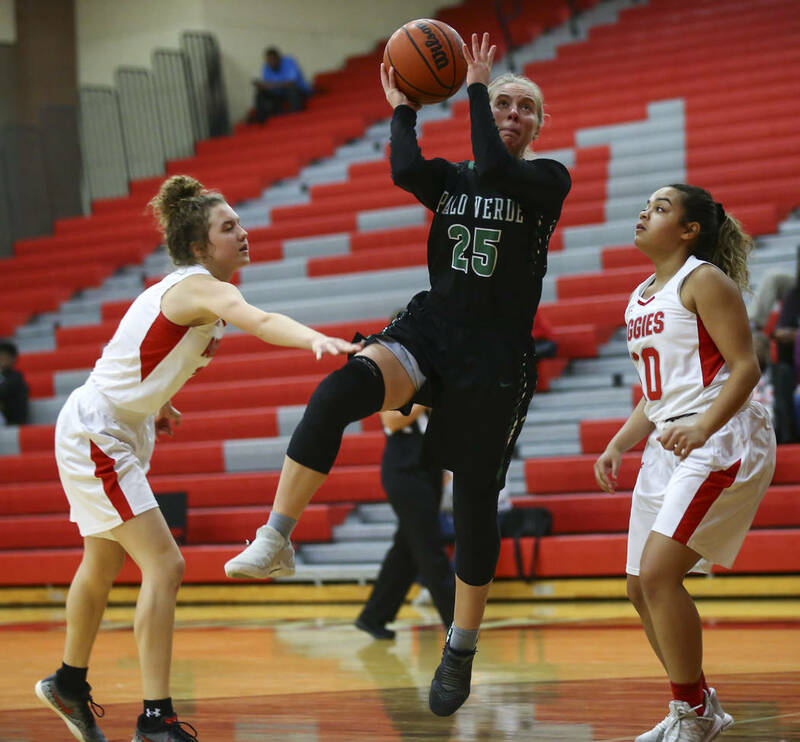 Palo Verde’s girls basketball team finished the 2017-18 season with two Northwest League victories. 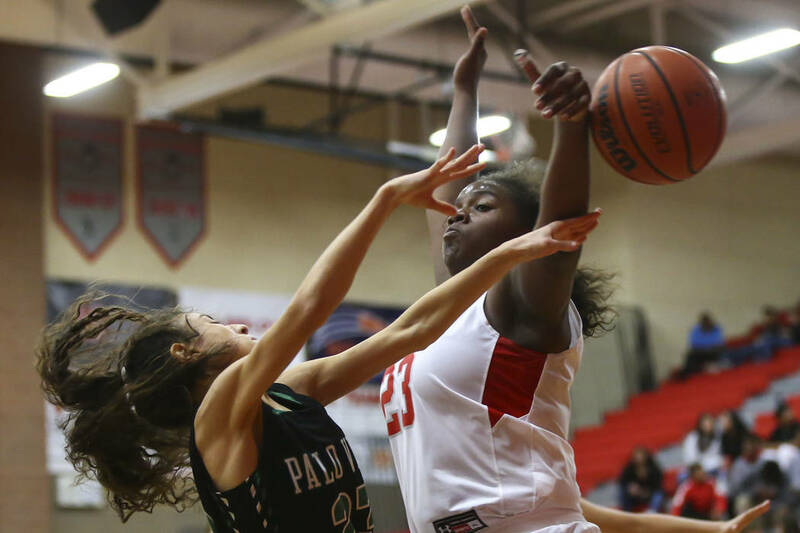 The Panthers are halfway to that total this season. 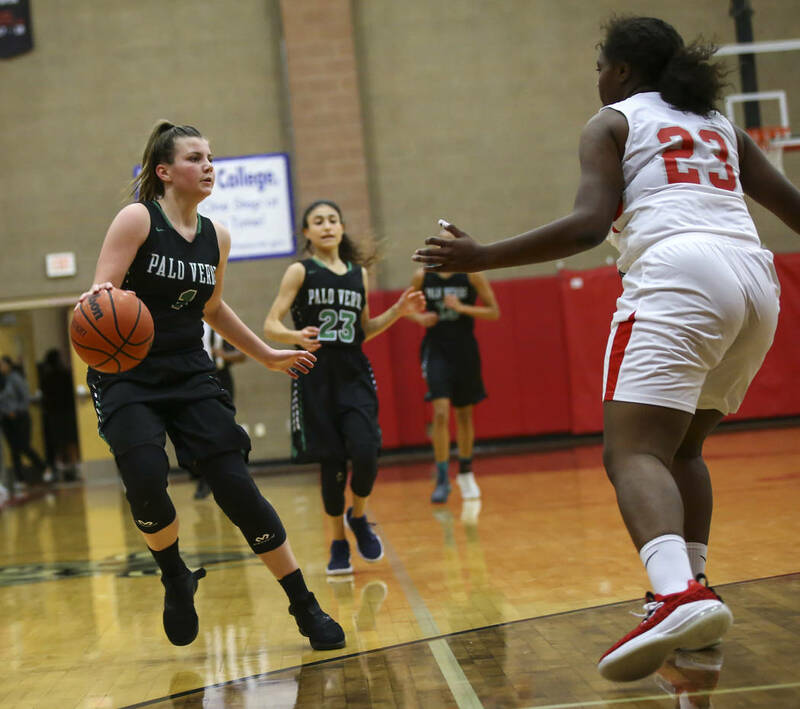 Palo Verde closed the first half Wednesday night with a 13-4 run and rolled to a 59-41 road victory over rival Arbor View. 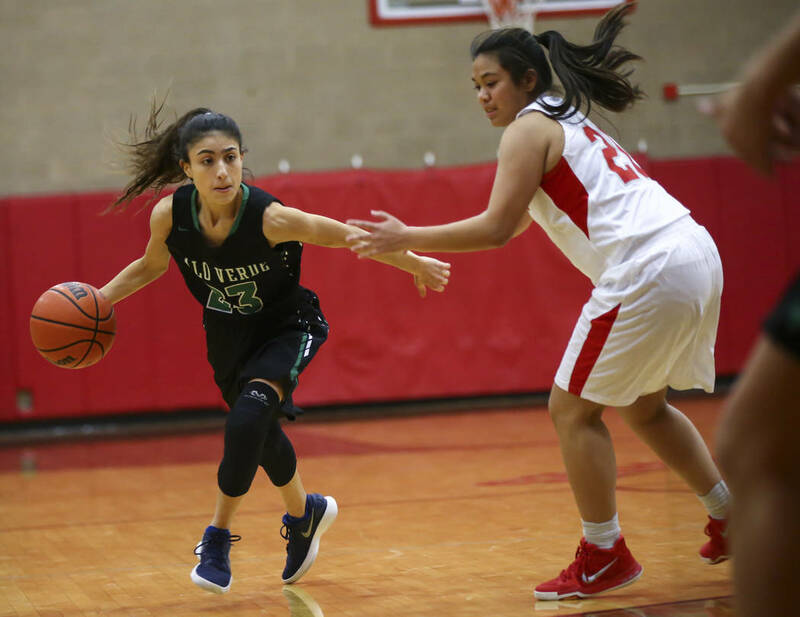 Sophomore guard Alyssa Maillaro made three 3-pointers en route to 17 points and senior wing Kedrena Johnson added 16 points for the Panthers, who opened their campaign last week by winning one of four in a tournament in California. 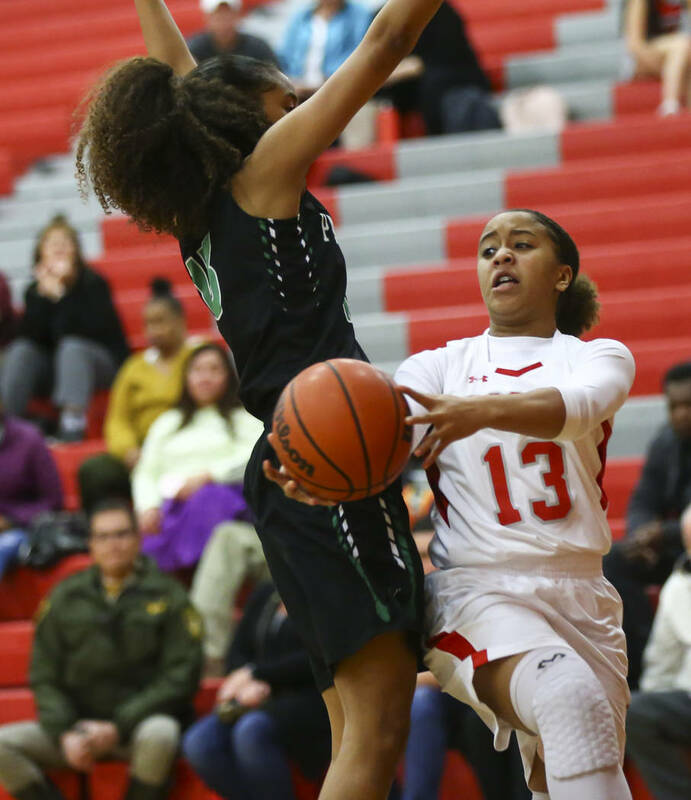 Clarke relied on a lot of underclassmen a year ago, and the Panthers struggled, finishing 5-18 and missing the playoffs for the second consecutive season. 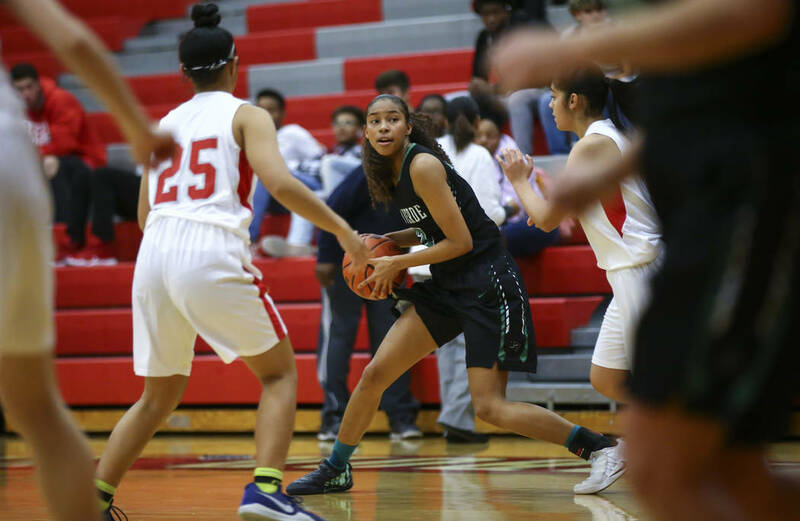 But those underclassmen have matured, and Clarke is optimistic. 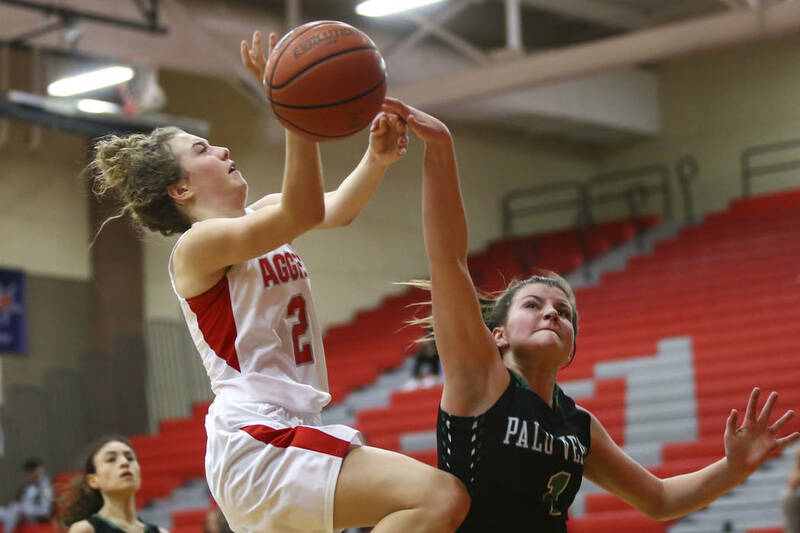 He turned to his 2-1-2 zone defense Wednesday, and it worked especially well in the second and third quarters when the Panthers had a 41-21 scoring edge. 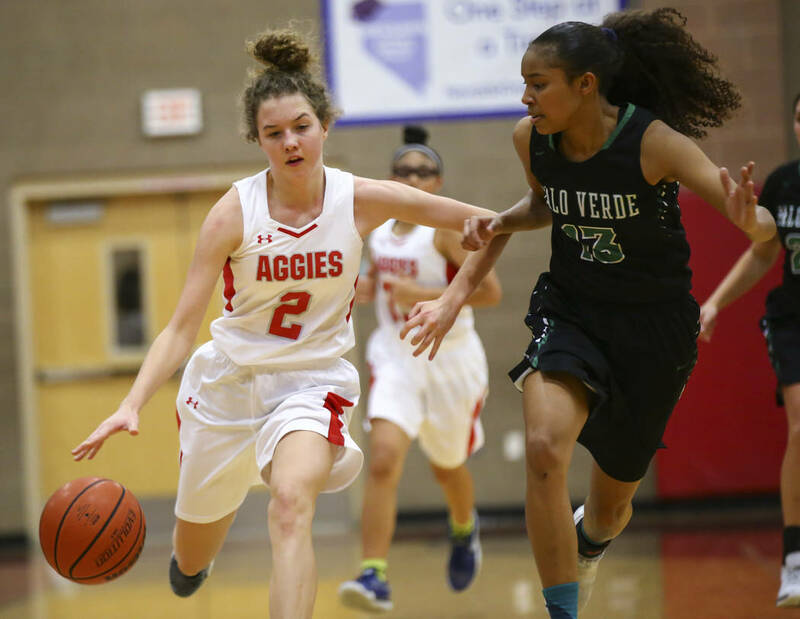 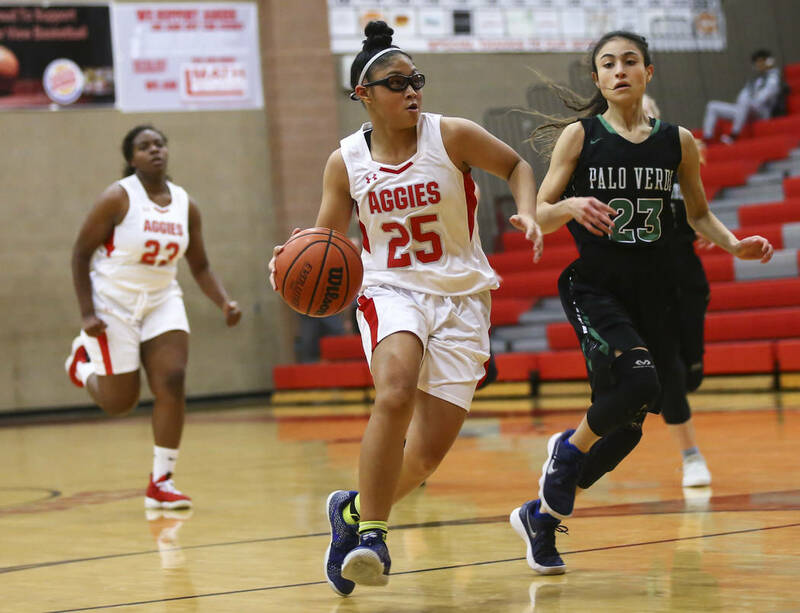 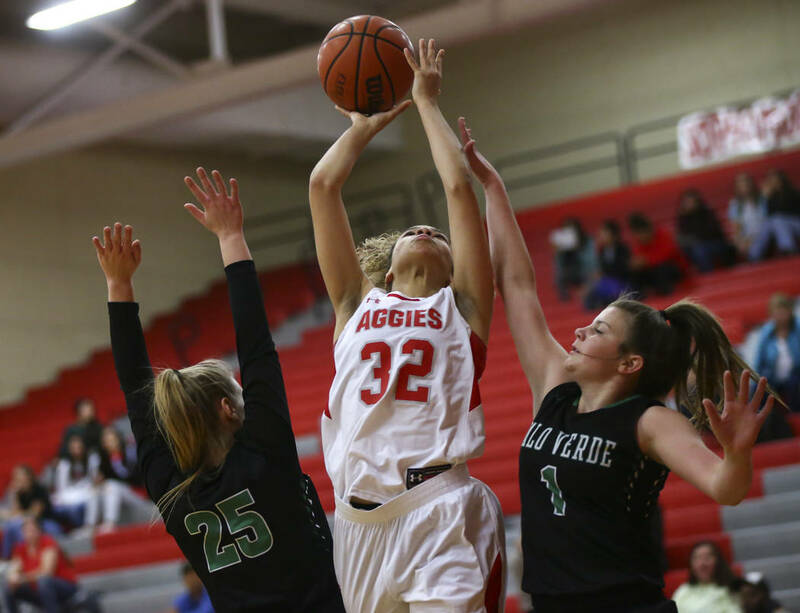 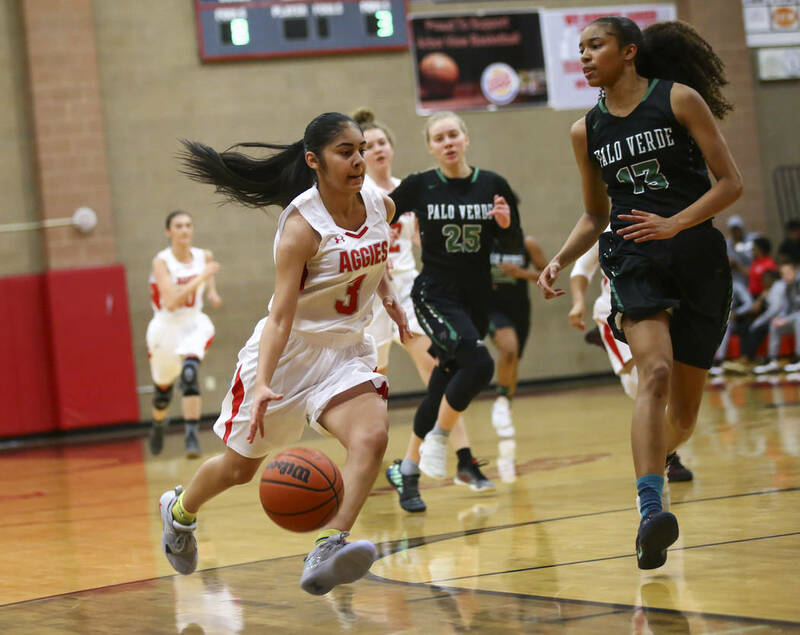 Sierra Lueck scored 12 points and Maya Bega added 11 to round out a balanced effort from Palo Verde (2-3, 1-0 Northwest League). 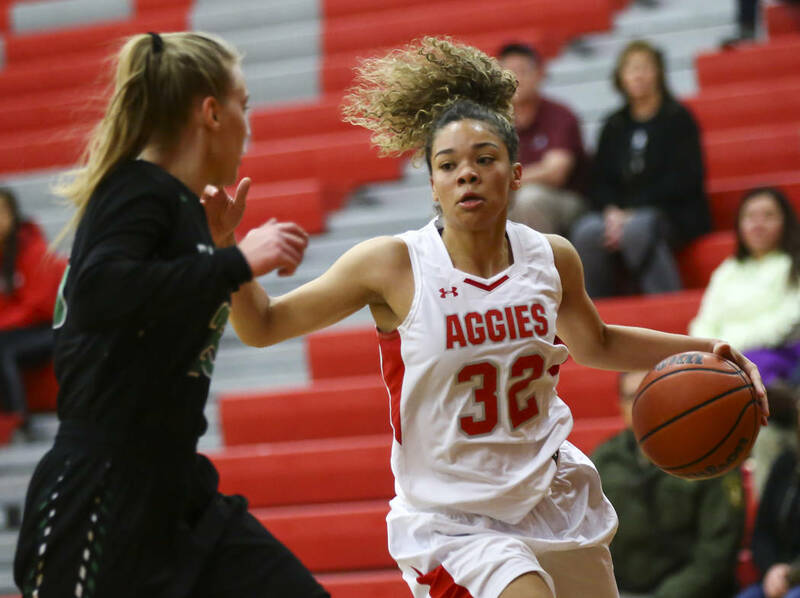 Alina Oranchak had 17 points and Jessica Castro scored 10 for the Aggies (0-2, 0-1).